Former U.S. Rep. Gabrielle Giffords, D-Ariz., visited Hagens Berman's Seattle office on Aug. 3, 2015 to discuss gun control. Congresswoman Giffords, who was shot in the head in an attempted assassination in Casas Adobes, Arizona in 2011, has since started Americans for Responsible Solutions to encourage elected officials to stand up for solutions to prevent gun violence and protect responsible gun ownership. 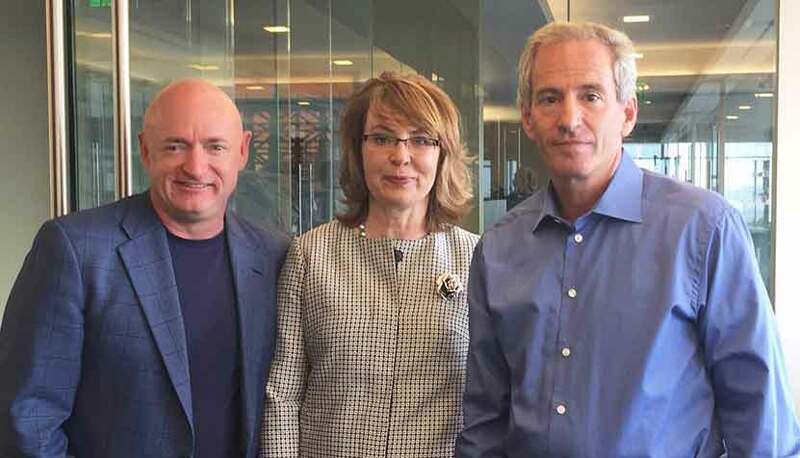 Former congresswoman, Gabrielle Giffords (center) with her husband (left), Mark Kelly, former NASA mission commander and astronaut, and Hagens Berman managing partner, Steve Berman (right).